Recently, I wrote about how issues regarding sexual assault, abuse and violence are tough to grapple with as sports fans and received an overwhelming response from men and women saying they were feeling many of the same things. Yesterday I posted a few things on Twitter regarding sexual assault statistics and applied them to hockey. I have included those below. I make a lot of space for hockey in my life and so I thought that may help me and other fans get a better handle on this overwhelming societal issue. Many of the responses I got completely ignored the societal issue and instead were filled with accusations that I was holding one sports star out as a “sacrifice to the movement” despite the fact that I did not refer to him in any of those posts. First things first. I want to make it absolutely clear that my feelings as a sports fan are pitifully irrelevant when compared with anything victims of abuse or assault go through. My intent here is not to diminish victims’ experiences in the slightest. My intent is just to get a few things off my chest and I freely admit they are entirely inconsequential in the grand scheme of things. I’m just writing this because I find writing things out to be cathartic. Read or don’t read. Care or don’t care. It’s entirely up to you. I’m not trying to teach you a lesson or telling you how to feel. I just need to write this down so I can start to process it. If you would have told me in June, right after the hockey team I’m a fan of had won the Stanley Cup, that I’d feel like this on the first day of training camp in September, I wouldn’t have believed you. Zone entries are very important to the efficacy of a team’s offense. It is commonly held that carrying the puck into the zone leads to more shots than dumping the puck in and trying to recover possession. While I have tracked the zone entries for the Chicago Blackhawks as the season has worn on, I have not done so for the Tampa Bay Lightning. Because of that, I thought we could look at the systems each team uses to gain the offensive zone and discuss the players to keep an eye on in this part of the game instead of going too heavily into zone entry statistics. 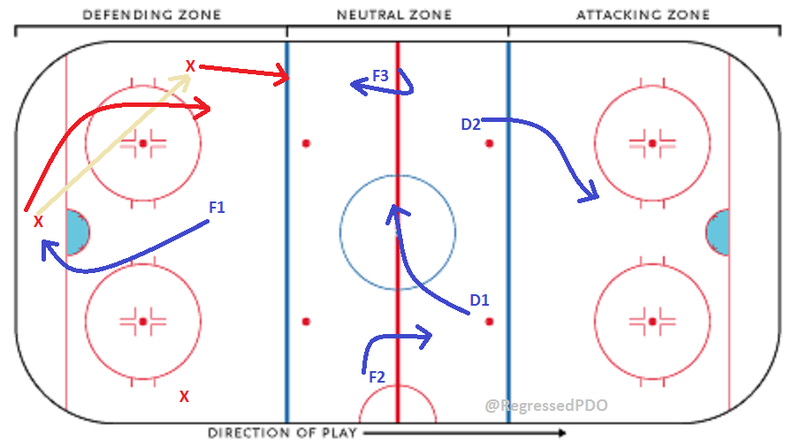 Breakouts are the plans a team uses to get the puck from the defensive zone into the offensive zone. This happens in two distinct situations. 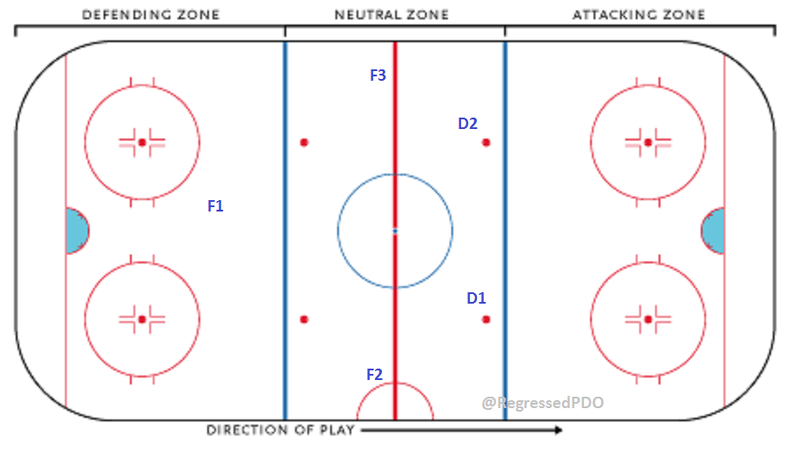 The first is when the opponent has been on the offensive attack and the defending team works to regain possession and quickly move the puck out of the zone. 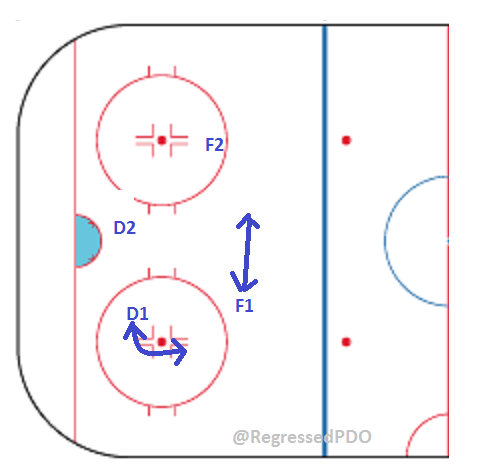 The second occurs when the defending team regains possession of the puck, but holds it behind the net to allow for line changes prior to starting out of the zone. 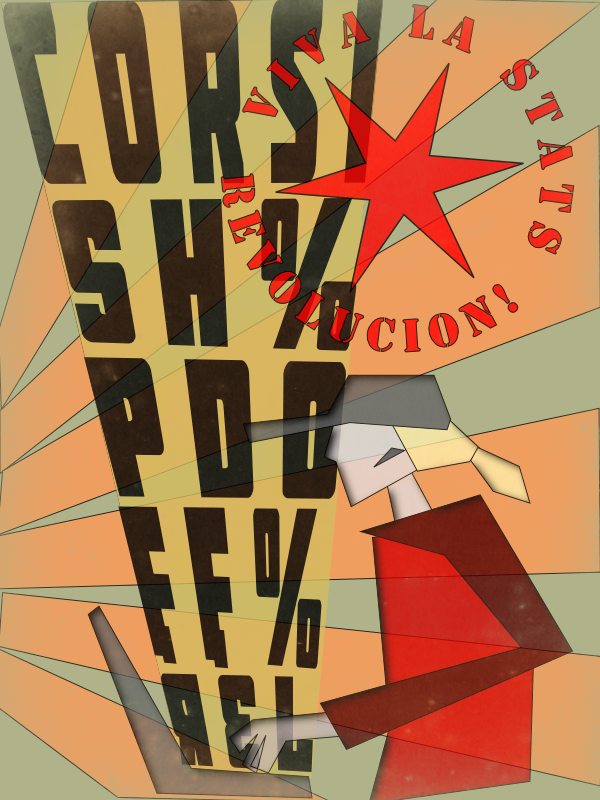 This second situation is referred to as a “controlled breakout”.